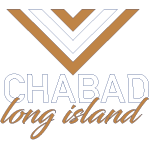 So... how do you pronounce 'Chabad'? Children participate in a hands-on demonstration of the many steps entailed in making handmade matzah for the Passover Seder. Avraham Fried, world-acclaimed Jewish singer, shares his experiences in touching countless of lives across the globe in his performances. The book of Tanya, a masterpiece of Chassidic philosophy, has captured the mind and heart of many. What is its message? A discussion on some of the customs and symbolism at a Jewish wedding. The Ten Commandments, which have served as the bedrock of morality for generations, are central in Judaism. Rabbi Teldon details the make-up of these mitzvahs. Rabbi Israel Meir Lau, former chief rabbi of Israel, delivers a passionate talk in solidarity of Israel. Have you ever experienced a moment when a seemingly random event also seemed strangely meaningful, or even miraculous? Judith Leventhal, the co-author of the best-selling series Small Miracles, speaks to these phenomena and shares some of these moving stories. Rabbi Yosef Chaim Kantor, chief rabbi and director of Chabad in Bangkok, Thailand, describes Jewish life in Thailand. An interview with Sue Fishkoff, the author of The Rebbe’s Army, a book detailing the Chabad movement’s activities in furthering Judaism. The topic of the soul is a true mystery, as it relates to things of the spirit which cannot be felt in a tangible way. Yet it is very much a reality in our belief system. The concept of divine providence introduces reason and meaning to everything that happens to us in of our lives. Professor Lawrence Schiffman, a noted scholar, details the rich historical significance of the sacred sites of the Western Wall and the Temple Mount in Jerusalem up until their modern day status. A discussion on how to maximize our full potential in relationships of marriage in order to achieve true happiness and fulfillment. Rabbi Pinson continues to outline the journey of the soul and the Jewish belief in reincarnation. What does Judaism say about the soul and where it comes from? Why do we have a soul and what is it meant to accomplish. Rabbi DovBer Pinson helps us better understand this esoteric topic.